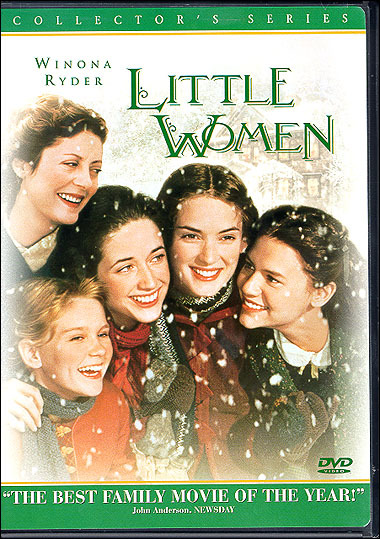 With her husband off at war, Marmee (Susan Sarandon) is left alone to raise their four daughters -- her "little women." There is the spirited Jo (Winona Ryder); conservative Meg (Trini Alvarado, Paulie); fragile Beth (Claire Danes, Romeo & Juliet); and romantic Amy (played at different ages by Kirsten Dunst [Wag The Dog] and Samantha Mathis [Broken Arrow]). As the years pass, the sisters share some of the most cherished and painful memories of self-discovery, as Marmee and Aunt March (Mary Wickes, The Man Who Came To Dinner) guide them through issues of independence, romance and virtue.